28 Aug 2018 --- Low carbohydrate diets are unsafe and should be avoided, according to a large study presented today at the ESC Congress 2018, the annual meeting of the European Society of Cardiology. “We found that people who consumed a low carbohydrate diet were at greater risk of premature death. Risks were also increased for individual causes of death including coronary heart disease, stroke and cancer. These diets should be avoided,” says Professor Maciej Banach, study author and Professor of the Medical University of Lodz, Poland. 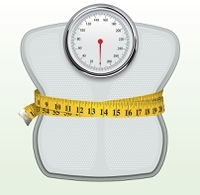 Obesity is a major health issue worldwide and raises the risk of several chronic conditions. Different diets have are touted for weight loss, such as diets low in carbohydrates and high in protein and fat. The long-term safety of these diets is controversial, with previous studies reporting conflicting results of their influence on the risk of cardiovascular disease, cancer and death. This study examined the relationship between low carbohydrate diets, all-cause death and deaths from coronary heart disease, cerebrovascular disease (including stroke) and cancer in a nationally representative sample of 24,825 participants of the US National Health and Nutrition Examination Survey (NHANES) during 1999 to 2010. Compared to participants with the highest carbohydrate consumption, those with the lowest intake had a 32 percent higher risk of all-cause death over an average 6.4-year follow-up. In addition, risks of death from coronary heart disease, cerebrovascular disease and cancer were increased by 51 percent, 50 percent and 35 percent, respectively. The results were confirmed in a meta-analysis of seven prospective cohort studies with 447,506 participants and an average follow-up 15.6 years, which found 15 percent, 13 percent and 8 percent increased risks in total, cardiovascular and cancer mortality with low (compared to high) carbohydrate diets. “Low carbohydrate diets might be useful in the short term to lose weight, lower blood pressure and improve blood glucose control, but our study suggests that in the long-term, they are linked with an increased risk of death from any cause and deaths due to cardiovascular disease, cerebrovascular disease and cancer,” adds Professor Banach. A recent study published in The Lancet Public Health also concluded that following a low-carb diet could shorten life expectancy – by four years. The study similarly noted that the high levels of animal fats and proteins that often replace carbohydrates in typical low-carb diets appear to be associated with the higher risk of mortality. Eating more plant-based proteins and fats in place of carbohydrates was linked to lower mortality and even reversed the greater mortality risk. An array of previous randomized trials have shown low carbohydrate diets are beneficial for short-term weight loss and improve cardiometabolic risk. However, the long-term impact of carbohydrate restriction on mortality is controversial with prospective research so far producing conflicting results. Furthermore, earlier studies have not addressed the source or quality of proteins and fats consumed in low-carb diets. Low carbohydrate diets, such as the trendy keto and paleo, which restrict carbohydrates in favor of increased protein or fat intake, or both, are a popular weight-loss strategy and these findings are particularly salient due to their long-standing prevalence.